CBS) Alcohol abuse is not a surprising condition to find within hospital walls. But a new study suggests the ones with a drinking problem might be the surgeons. PICTURES - Booziest states in America: Who drinks most? For the study - published in the Feb. 20 issue of the Archives of Surgery - researchers surveyed over 25,000 surgeons about their work, lifestyle, and mood. Only 7,000 of them responded, and the researchers used the information to screen for alcohol abuse or dependence. About 15 percent of surgeons who responded had scores that indicated an alcohol problem. 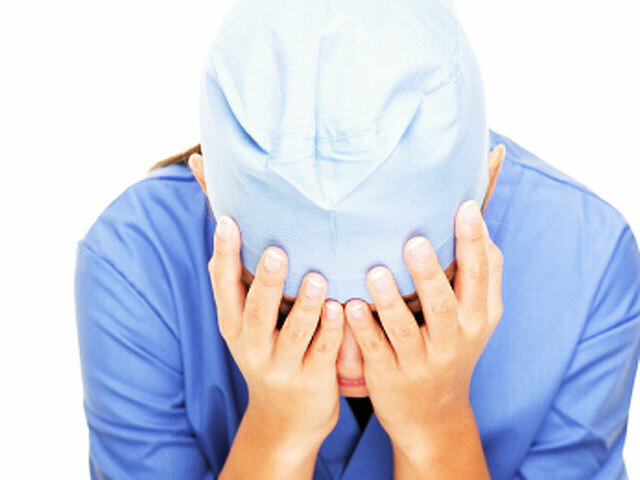 Further analysis showed nearly 14 percent of male surgeons and 26 percent of female surgeons. According to the study authors, the alcohol abuse rates among surgeons are higher than those of the general population. The authors called the findings a "significant problem [with] the potential to impair a surgeon's ability to practice with skill and safety." Should people going in for surgery be worried? "It should be said that a number of studies have shown that direct patient harm associated with impairment due to chemical dependency is very, very rare," study author Dr. Michael Oreskovich, a clinical associate professor of psychiatry and behavioral sciences at the University of Washington in Seattle, told HealthDay. The study found increased odds of alcohol abuse or dependence among surgeons who had made a major medical error in the previous three months, were burned out or depressed. Researchers describe these states as the "emotional exhaustion" and "depersonalization" domains of burnout. Some surgeons were less likely to be alcoholics, the study found. Surgeons who were male, have children, work long hours, were more likely to be "on call," or work for the Department of Veterans Affairs were found to have a lower likelihood of alcohol abuse. Dr. Edward Livingston, a professor of surgery at the University of Texas Southwestern Medical Center in Dallas, wrote in an accompanying editorial that people shouldn't interpret too much from this study's findings. He told Reuters, "If you have a low response rate, you don't know if it represents the universe of people you're trying to study." Ultimately, the surprising findings of alcohol abuse or dependence among surgeons should decrease shame and stigma, the authors said, and encourage surgeons to pursue treatment. They wrote, "Alcohol abuse and dependence is a treatable and reversible condition with an excellent prognosis when identified early with appropriate intervention, treatment and monitoring."